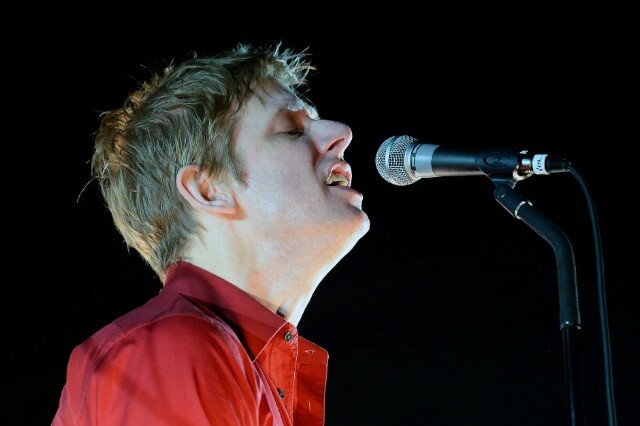 Spoon have been all over the place playing tracks from their upcoming eighth album They Want My Soul, recently hitting up Jimmy Kimmel Live! and Governors Ball while also dropping the peppy track “Do You.” The latest bit of promo comes from the BBC Radio 6 studio, where Britt Daniel stopped by to play “Rent I Pay” and “Rainy Taxi” for host Lauren Laverne. The stripped-down form exposes Daniel’s strengths as a singer, but perhaps the most interesting bits come in the interview portion of the segment, when he explains that none other than AC/DC was a big inspiration for the new LP. “I did buy the entire AC/DC catalog between 2010 and 2014, so it might have had something to do with it. I’m not sure,” he says of the heavier sound on the album and “Rent I Pay” in particular. He then performs the song and, darn it, you can really hear the Aussie gods’ influence in the chunky, bottom-heavy intro and thick chord rhythms. Meanwhile, Spoon are also looking to reward their fans who shop at independent record stores. Starting July 15, the Austin outfit is launching what they call the Vinyl Gratification program, which offers up a limited 10-inch 45 RPM record that includes three tracks from They Want My Soul to anyone who pre-orders the vinyl edition of the album from one of 150 participating stores. Then, when the full-length comes out on August 5, those fans can bring their receipt back to the store and get a 180-gram white vinyl copy of the LP. The first-of-its-kind program came from one of Daniel’s recurring thoughts: “Why do we incentivize people to buy our music from big outlets but we don’t extend the same courtesy to actual record stores?” Anyone who wants to get in on the action can use this store locator to find the nearest participating shop.